DENVER, CO -- Steve Greig has devoted his life to adopting and taking care of senior dogs and other animals who have trouble finding homes. 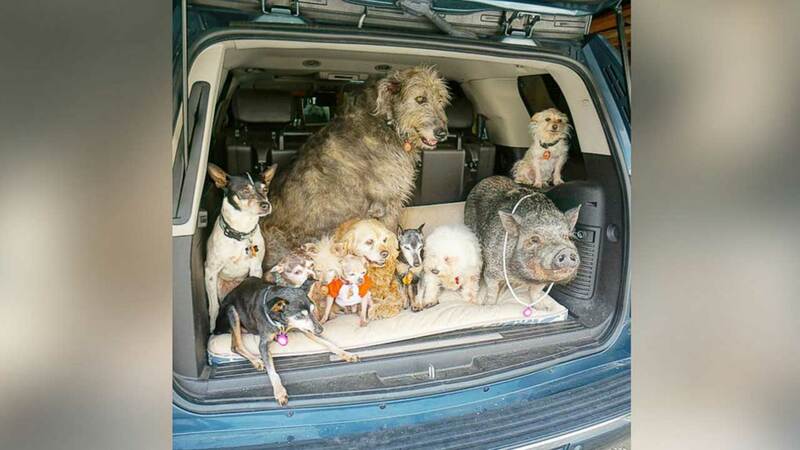 The 50-year-old's house and rented farm property in Denver is currently home to nearly two dozen animals: eight elderly dogs, two Calico cats, two ducks and a miniature pot-belly pig named Bikini (who happens to think she's one of the dogs). Greig also regularly cares for two other dogs -- one belonging to his roommate and another to his sister. "It's definitely very time consuming and a part-time job in itself," he told ABC News. "But they're my family. It's a good feeling -- knowing that these little guys are loved, cared for and together in a home they deserve."